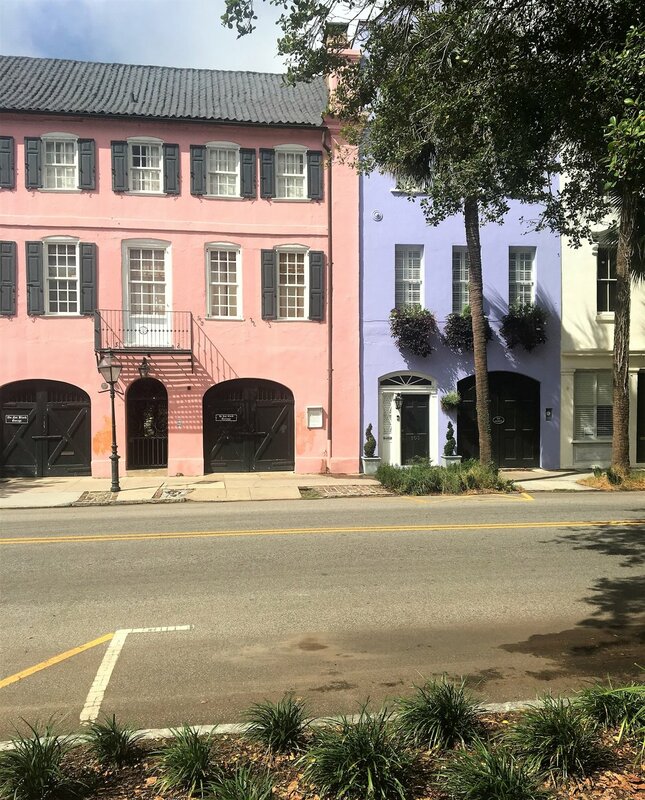 Now that we got all the food out of way, let us move on to the places we visited and the things we did while in Charleston (including stopping in front of colorful homes for a photo opp!). We took refuge underneath the shade of these trees in White Point Gardens. Of course, we had to walk past the houses on Rainbow Row. It just makes me wish Boston was just a tad more colorful! On my birthday, Laura and I took a candle making workshop at the Candlefish store. The workshop was $55/person and you get to make 2 jar candles. It's also BYOB - they provide the glasses and fridge. They pre-select a handful of scents and you go around sniffing each one, marking your likes and dislikes. Although you make the same scent in both jars, Laura and I each swapped one at the end so we walked away with two scents. The candles need to set overnight and can be picked up the next day. So if you are interested in the workshop, make sure you have an extra day in Charleston. As an added perk, you get 15% off the entire store that day just from taking the workshop. Laura and I had so much fun and I definitely recommend this activity. One morning, Dan and I got up early, picked up a coffee from Black Tap and headed out to see the Angel Oak Tree. Dan's plan was to get there before the gates open in the hopes of getting an unobstructed photo of the tree. Welp, when we got there we were the second car in line to get in! To our surprise, the groups of visitors were super conscious of others who were trying to get a photo. Voila! Here's the gorgeous shot Dan snagged. It's a pretty incredible site. It is said that this tree is anywhere between 400-500 years old. We spent one morning walking the grounds at Magnolia Plantation & Gardens. The grounds are pretty amazing but unfortunately, most of the flowers were no longer in bloom. Every now and then we'd be surprised by a small glimpse of the remaining flowers. After visiting Magnolia Plantation & Gardens, we took a drive over to Middleton Place, a national historic landmark. It boasts different types of flowers so that there's always something in bloom no matter what time of year you visit. And you get to hang with some sheep - what more can you ask for? One evening before dinner, Dan and I drove over to Folly Beach to walk along the beach and catch the sunset. I welcomed this part of the itinerary as it was much cooler by the water! We drove through the town and it looked very cute. We had dinner plans back in Mount Pleasant but had we not, we would have popped into one of the restaurants in town. On every trip we make, Dan always does research on the best sneaker stores to visit. 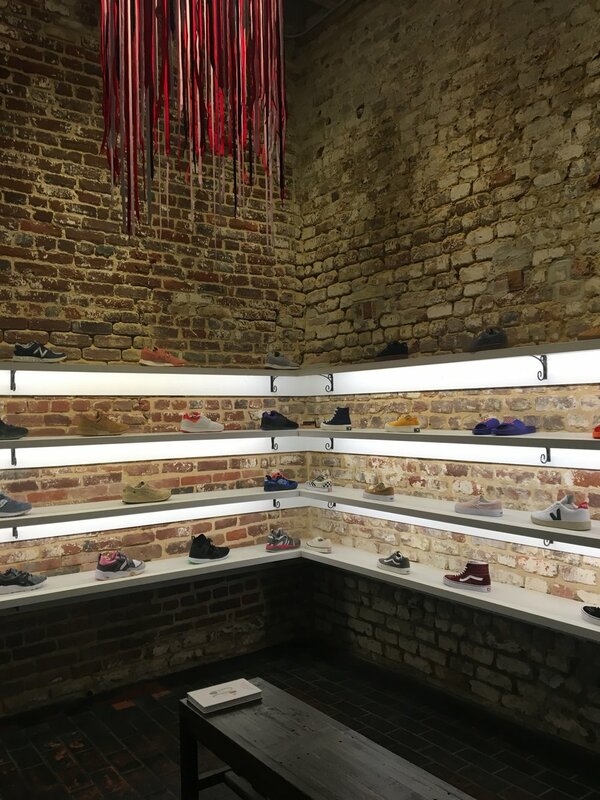 Sneaker is tucked away in a small ally away from the hustle and bustle of the main streets. The store is minimally and beautifully decorated. Yes, Dan walked out with a new pair of kicks. Here's the little path leading up to Sneaker. So hidden and easy to miss! 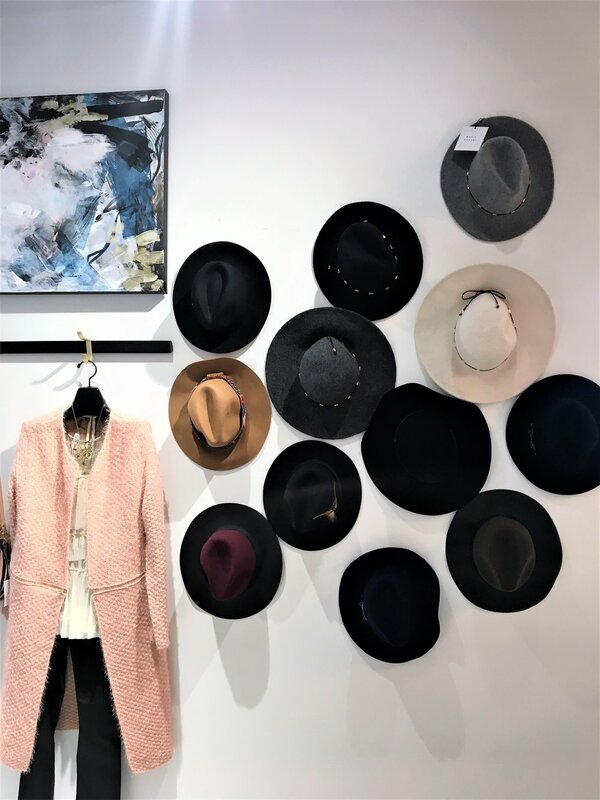 Maris Dehart is a contemporary boutique that carries items by local designers as well as emerging designers from other cities. This is where I found my Hart Studio tassel earrings. A beautifully decorated boutique with many things to admire! If you are looking for souvenirs that aren't kitschy, then Kittsona is where you need to go. I ended up with a cute tea towel with a print of all things Charleston. The boutique also carries women's clothing, accessories, and home goods! I popped into Skinny Dip Charleston real quick to check it out. It's beautifully curated and even has a wine and coffee bar upstairs! Also, on the second floor, they carry products by local designers. For the majority of our trip, we stayed at an Air BnB. But on our last night, we stayed at the Renaissance (yay for reward points! ), which was newly renovated. Our room was spectacular and the location was perfect. We highly recommend! That's it for Charleston. Going through these pictures makes me want to go back!!! !